How to make online reservations – Coubic Inc. In order to make online reservation requests, you need to enter your name, email address, and phone number, so that the service provider can reach out to you. 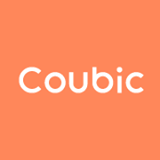 Also, if you create an Coubic account, you can easily make reservations for services provided through Coubic.